By area, Baluchistan is the largest province of Pakistan that is historically ignored for a variety of reasons including complicit negligence by the feudal tribal lords, corruption, and deficiency of education. To a certain degree of neglect on the part of the central Government, this mineral-rich province is not developed as rest of the country. Baluchistan's natural resources need to be untapped, for example, it has the world's fifth-largest reserves of gold and copper, that is containing the Tethyan belt of a curve of copper and gold and reserves. This serpentine belt stretches from Hungary in Europe to Indonesia in the Far East across Eurasia but is much readily available in Baluchistan. 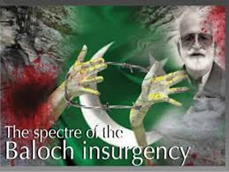 The low-level insurgency in Pakistani Baluchistan has been present in the province since independence. There were, at least, five significant spikes in violence that have occurred over the same period with the latest starting in 2006 as a result of the killing of Akbar Bugatti in a military operation and continuing till today up to some extent. While the Baluch is Sunni Muslims, one-fifths of them inhabit the Sistan, a southeastern province of mostly Shi'a Iran. In fact, at the beginning of the seventies, the Shah of Iran together with Pakistan had conducted a campaign against the Baluch in Pakistan, fearing the wave of Baluch nationalism. Since then Iran has executed many of the leaders of a nationalist movement, Jundallah on the Iranian side of the border with Pakistan.